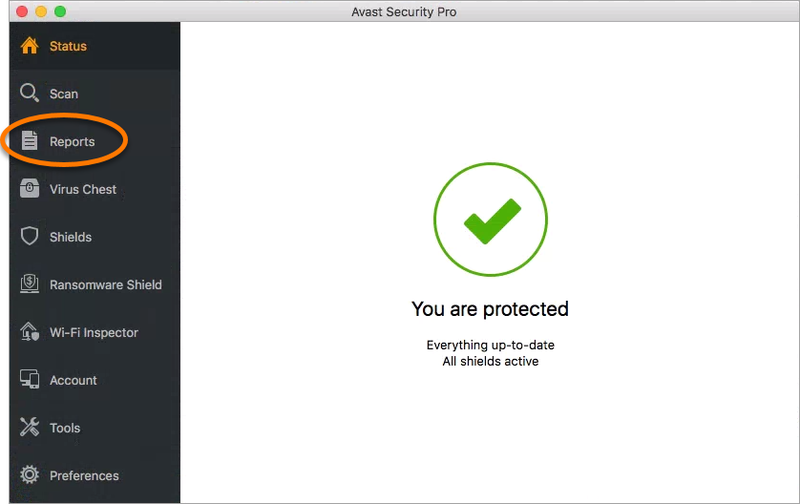 Avast Security for Mac provides a range of scans to protect your Mac from malware and network threats. 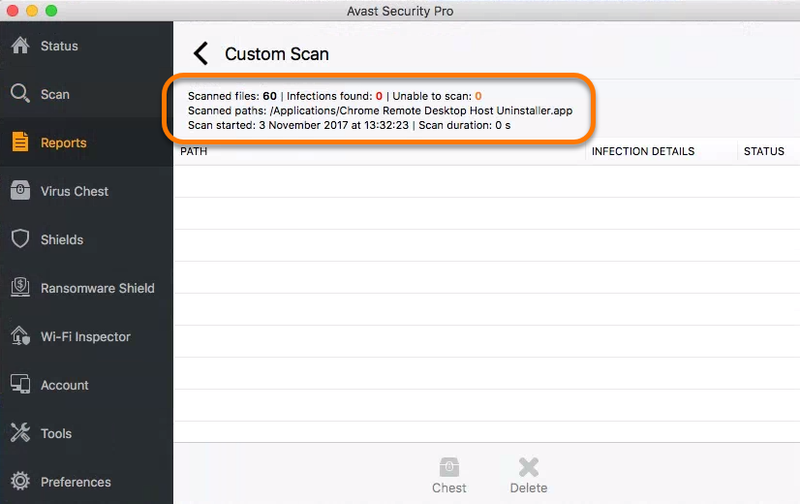 You can also create your own scan with parameters specified by you. 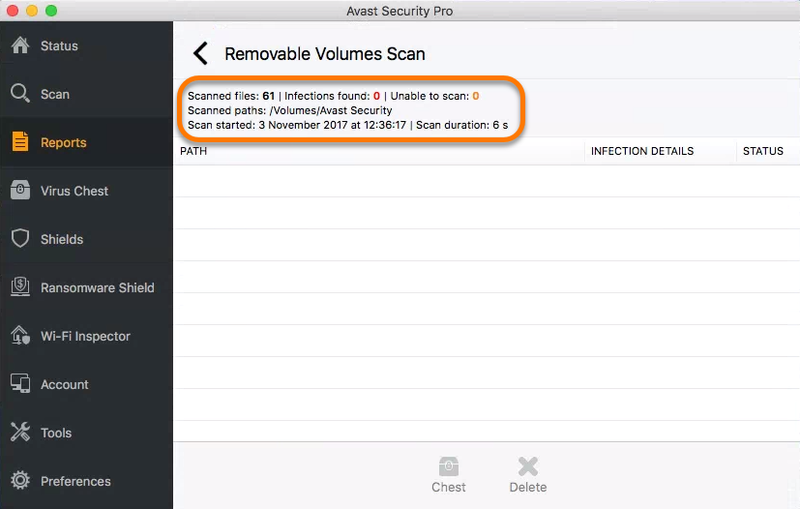 Refer to the sections in this article for details about available scan options. 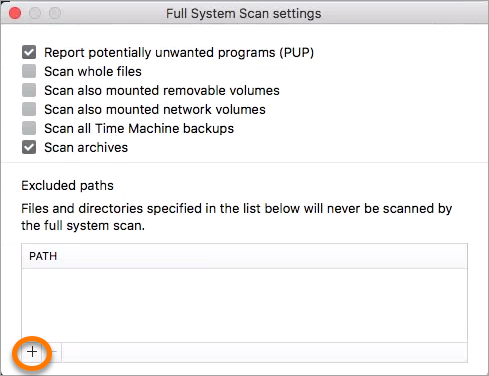 Click Start next to Full System Scan. When the scan completes, review the scan results. 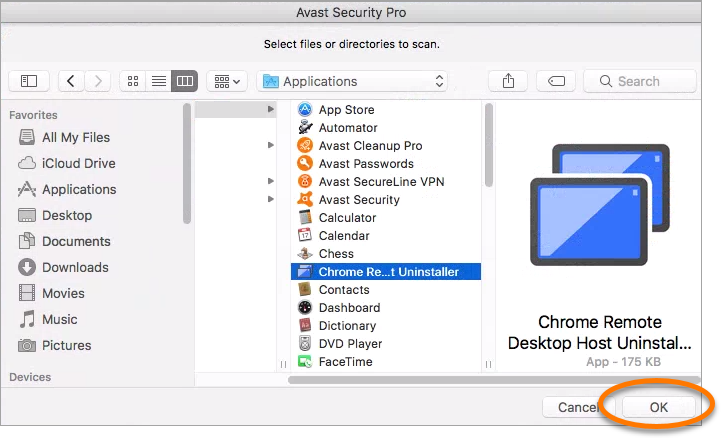 Click Start next to Removable Volume Scan. 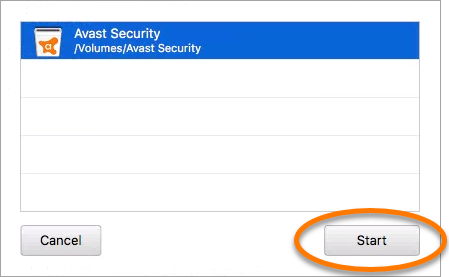 Select the volume you would like to scan and click Start. 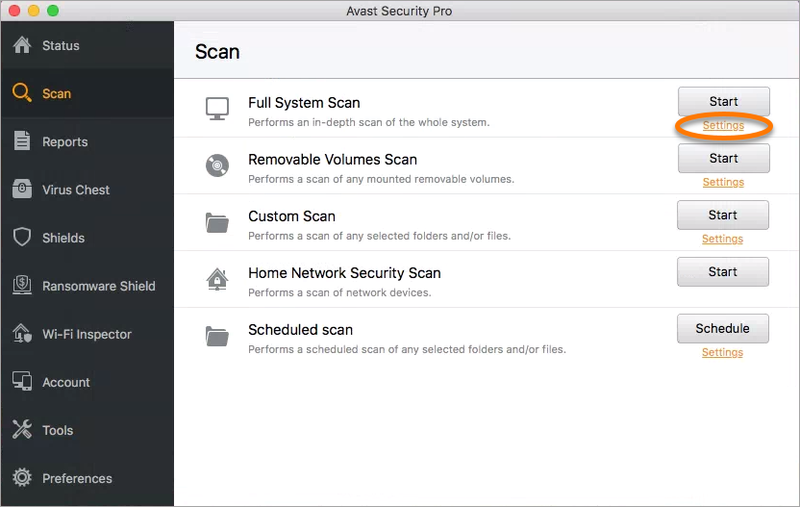 Click Start next to Custom Scan. Select a file or a folder to scan. 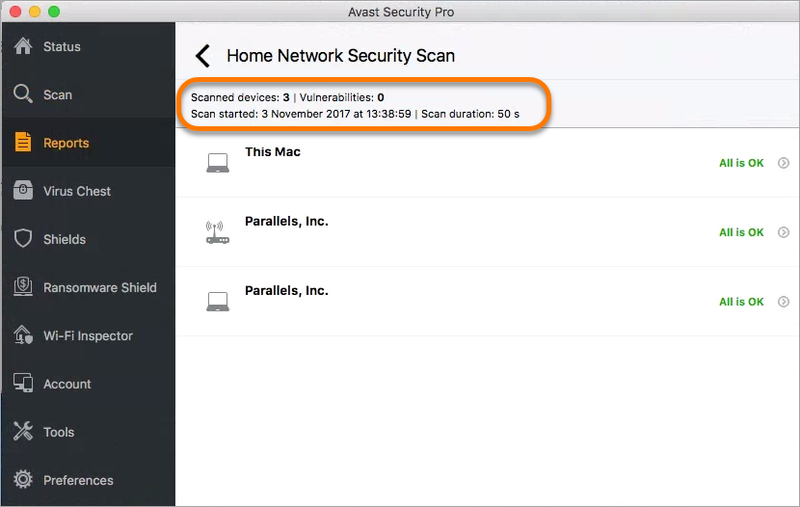 Home Network Security Scan scans your router and all devices connected to your network for vulnerabilities and identifying potential security problems that open the door to threats. 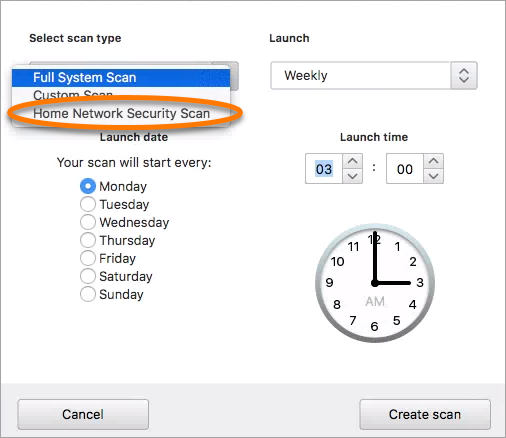 Click Start next to Home Network Security Scan. The devices that are being scanned appear under the scan progress bar. Click Schedule next to Scheduled scan. 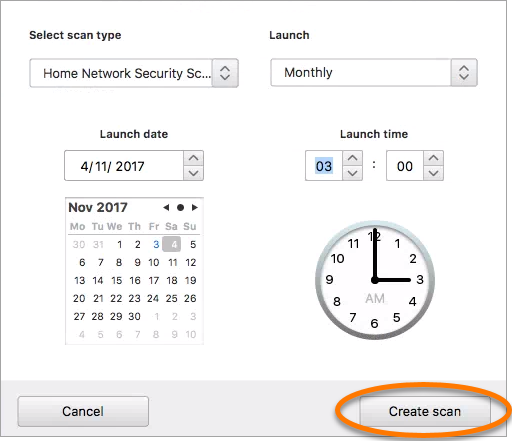 Use the drop-down menu under Select scan type to select which scan you want to schedule. 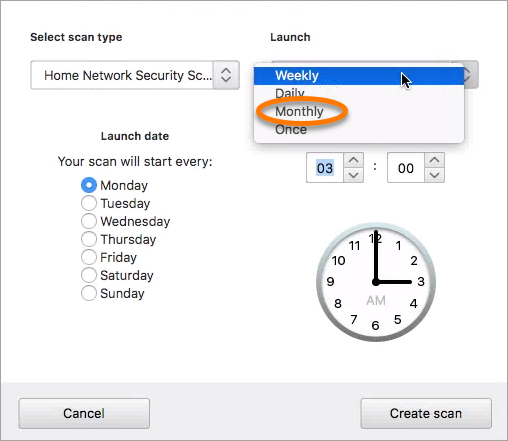 Use the drop-down menu under Launch to select how often the scan runs (Weekly is selected by default). 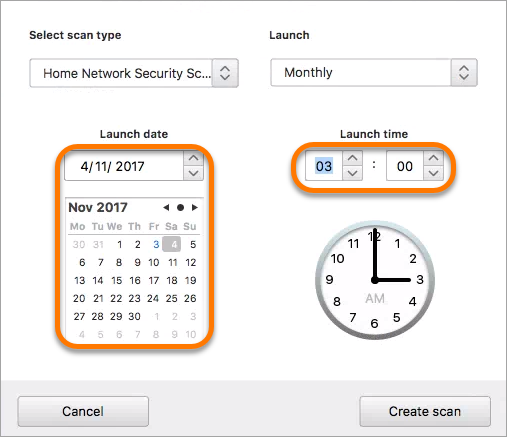 Select a launch date and time. The scan appears under Scheduled Scan in the main Scan section. 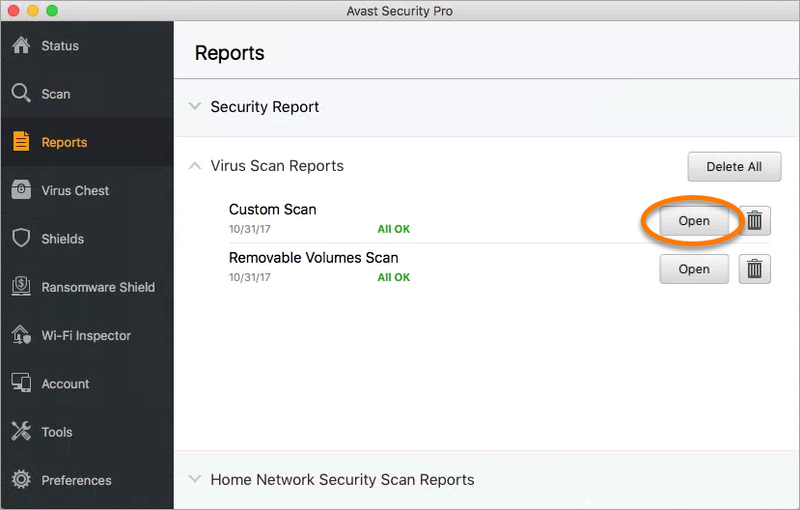 Although customizable settings are available for some predefined scans, we recommend you only modify settings for Custom Scan. 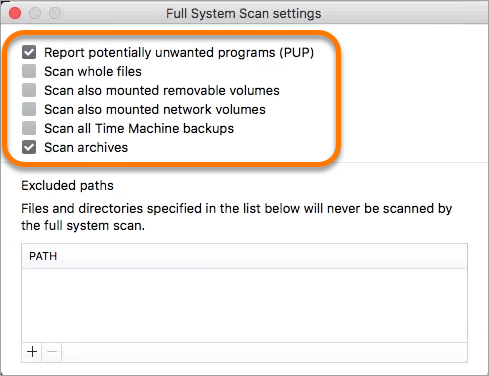 Click Settings in the section of the scan you want to customize. 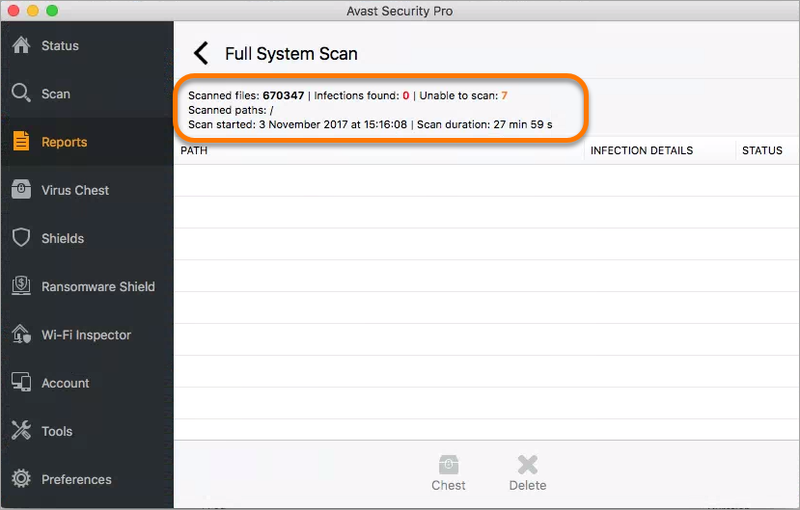 Tick your preferred areas to scan. 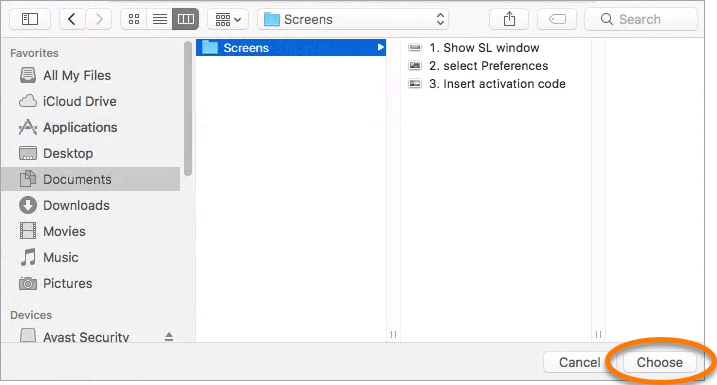 Select a path to a file or a folder to exclude it and click Choose to confirm. 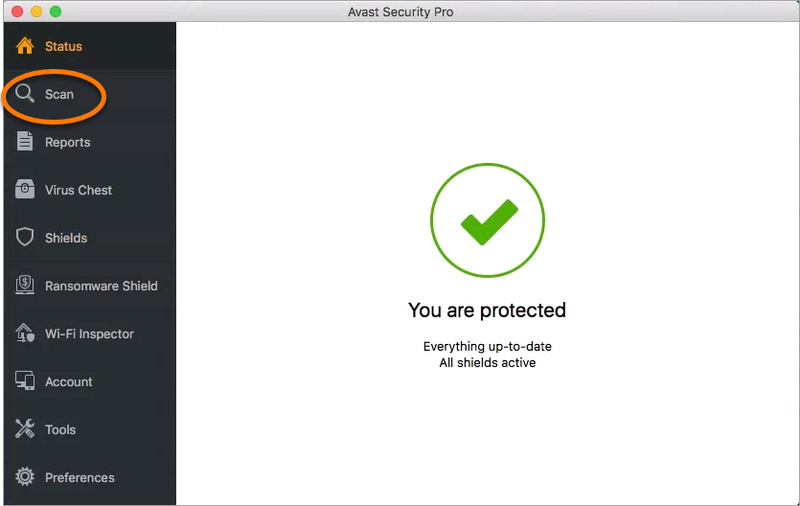 Open Avast Security and select Reports from the left panel. 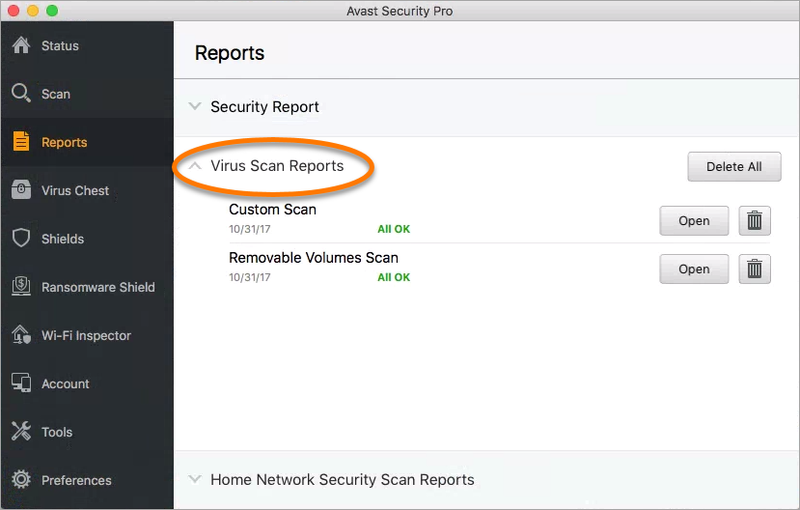 Virus Scan Reports: displays results of Full System Scan, Removable Volumes Scan or Custom Scan. 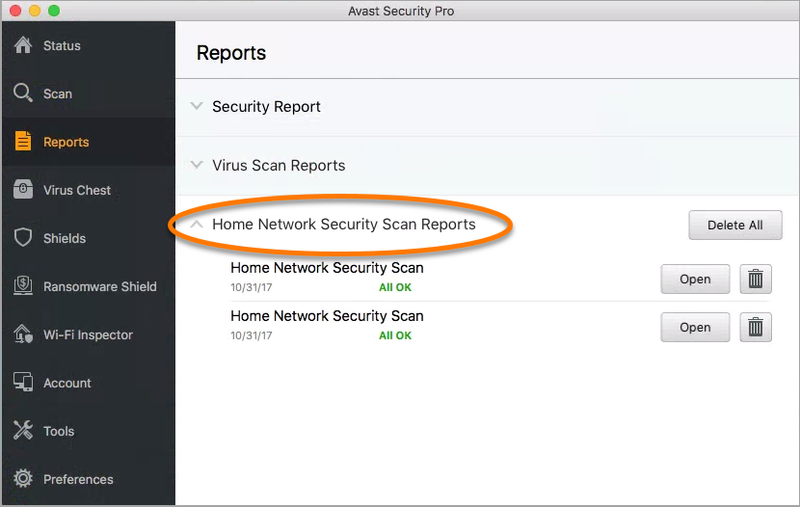 Home Network Security Scan Reports: displays results of Home Network Security Scan. To see details of a particular scan, click Open.